enhance the quality of whitetail deer on their ranches. CONTACT US for more information. 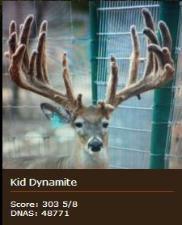 anyone can get licensing to sell whitetail deer but understanding how to breed for genetics is so much more important. number of bread does and fawns for sale each year so please contact us early and register now for this years offerings. existing herd with recommendations for a good feeding program to maximize its potential based on our experience.